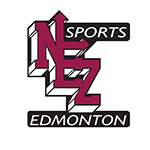 The Edmonton Padres will offer Fall Performance Program opportunities at Peewee, Bantam and Midget. This program is geared toward players interested in competing for AAA/AA roster spots in 2020 and provides a developmental, yet competitive schedule for the athletes. Peewee and Bantam divisions will compete within Baseball Alberta Fall Ball schedule plus additional games against academy and regional teams. Midget (FPP) will again include tournaments and exhibition games against other elite programs with a showcase to complete the fall schedule. 2019 Peewee, Bantam and Midget FPP calendars will be available in early August 2019.